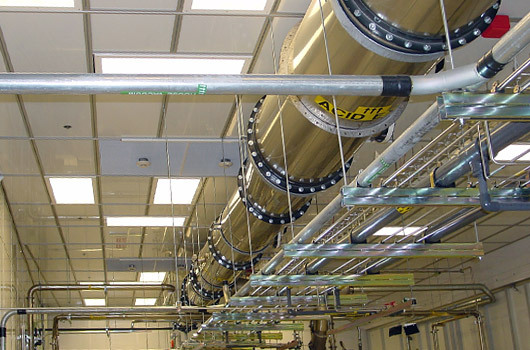 A good cleanroom ceiling system must be strong enough to support HEPA Filters without sagging and also strong enough to not have warps or twists which could cause gaps between grid and lay-in components. Lasco Services manufactures two heavy-duty cleanroom ceiling grids. Unique to both grids is our slide-in gasket, which cures the problem of adhesive based gaskets that can degenerate over time. Our grids can be wire supported for lighter loads or rod-supported for heavier, even walkable loads. 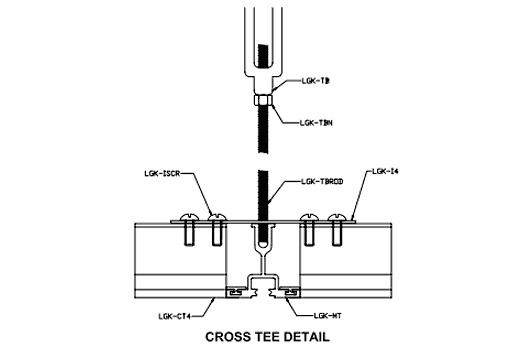 We also offer a Self-Supporting Version for spans 12’ or less. The cleanroom side of the grid offers a continuous open slot that will accommodate T-bolts. This makes the grid perfect for hanging cable racks, ductwork, strip curtains, utilities, and much more. The grid comes with a snap-in cover to fit the opening if not needed. The cleanroom side of this grid is smooth.